New York City based American rapper and hip hop recording artist, John David Jackson, also known as Fabolous has been booked for aggravated assault and making a terrorist threat and was arrested on March 28, 2018. The rapper had allegedly assaulted his baby mama Emily B. Reports said that Fabolous had surrendered himself to the police after a fight between the two. Emily had reportedly first contacted the police telling that the rapper had hit her after which the singer surrendered himself to the police. Fabolous surrendered to the cops and was accompanied by his attorney. Further reports added that the singer did not spend time in jail but was cited for the alleged incident and was given a ticket for his appearance in the court. More information on the incident has not been made public so far. In 2012, Fabolous had spoken about his on and off relationship with Emily B in an interview on the Combat Jack Show. The rapper had then said, “The thing about marriage is that, I believe in it but don’t believe in it. 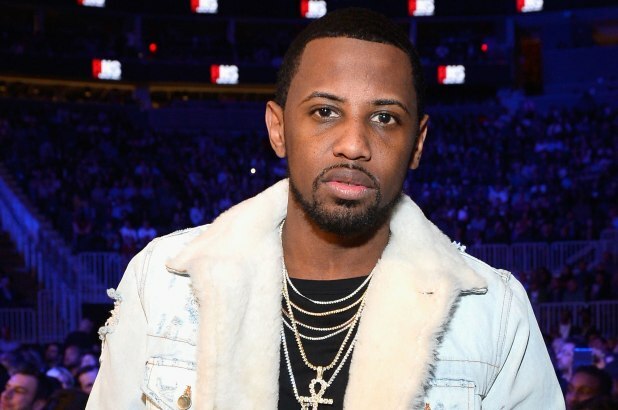 I think sometimes people put on that ring and that paper, and it messes up a good thing, because now it’s a different emphasis on your relationship.” Fabolous took out the topic again in 2015 in response to the various Instagram comments which speculated about his relationship. The rapper had then said, “Your two cents [aren’t] gonna make me get married or contribute to the wedding bills so stop commenting and go plan your wedding”. The most recent social media activity by the rapper was a collection of pictures from the recent Atlanta City show. Emily had then posted a selfie on the same day. Emily and Fabolous have two sons Johan Jackson and Jonas Jackson aged 10 and 2 respectively. The rapper has earlier faced an arrest for possessing an unlicensed gun in his car.